they’re almost ready to be published. however, there is some explaining i need to do before that happens. 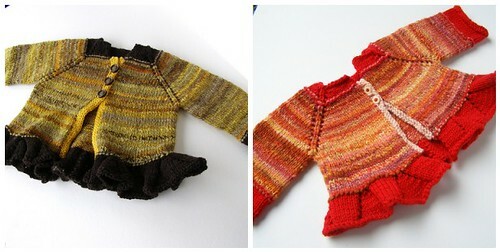 i am making these ‘new patterns’ rather than just adding them to the baby sweater patterns. i am doing this because i had to change the numbers significantly so that the wide necked baby sweater could become a less wide necked toddler sweater. 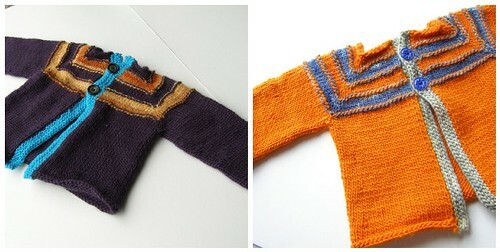 so in essence, although the same design features are there, this sweater is new and had to be re-worked, re-tested and all. that said, if you have bought the baby belle or baby beau patterns from me up to this point and want these new patterns, i would love to sell you these patterns for $3 each. this deal is only available for the months of june and july and only to folks who have previously purchased the baby versions. email me at cosymakes (!at) gmail (dot!) com and i can bill you over paypal and deliver it to you via email or via ravelry gift.